Obligatory mention of excess work; half-hearted excuse recycled to general yawns and slight impatience; long digression which belies the stated intent to be brief; pictures to pad it out so the sidebar with the book ads doesn’t have to be removed to make the page fit. 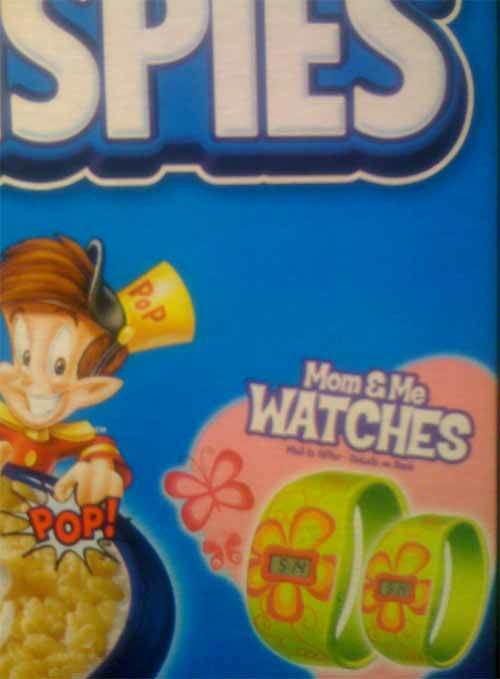 Yes, we wouldn’t want to have a matching watch with Dad. 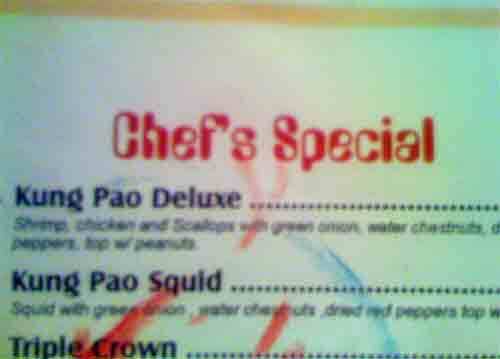 I don’t think there are two written languages that understand each other less. 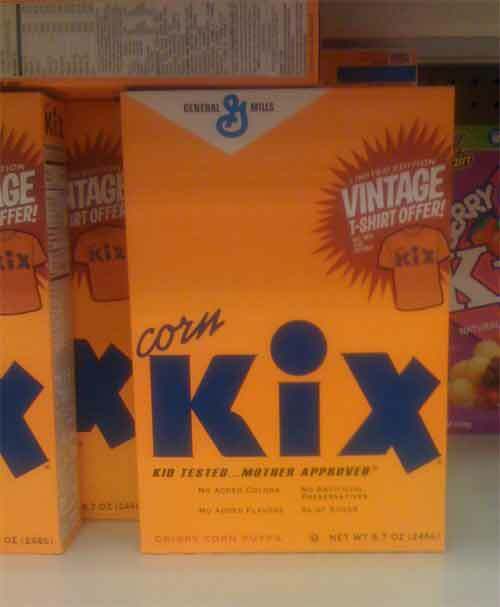 That font, or some variant of it, was fargin’ ubiquitous for a while – first in the drugstore paperback rack (the book came in many colors; wonder if it was one of the first to have different hues. My copy was orange) and then in the garage sales and second-hand bookstores, were hundreds of thousands of copies moved en masse in the mid 70s, when people realized they hadn’t read much more than 30 pages, and probably never would. For one thing, the book lacked a philosophical gull. 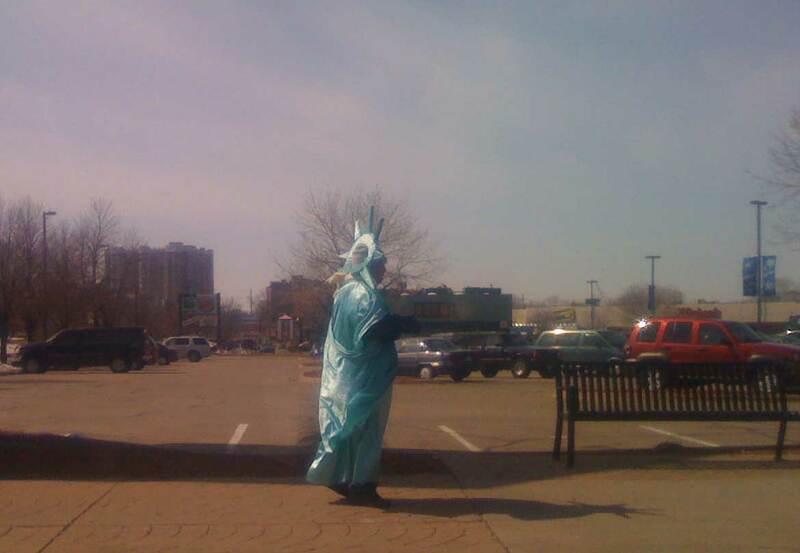 Finally: saw another man dressed up as the Statue of Liberty, shilling for a tax preparer. I have no idea why the shot turned out like this; I just whipped out the iPhone and snapped away, and the result looks like it went through six photoshop filters. The larger version is here. I just love this picture, mostly because everything about it happened at random. 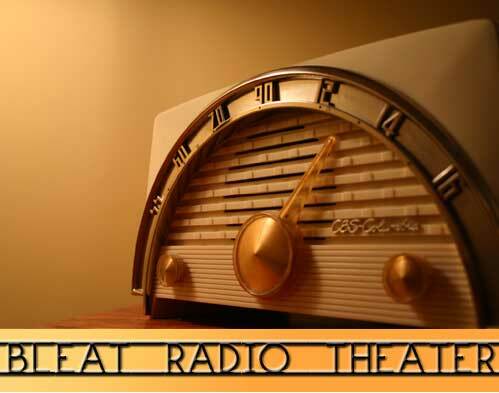 Finally: Bleat Radio Theater! The Golden Age of Radio this is not, and I offer it for amusement purposes. It’s a dramatization of a story called “The Subways Are For Sleeping” – later made into a musical that had nothing to do with the book. (Which I read, thanks to a friend who gave me a copy.) It’s a story of a homeless man quite content to have no residence or job. It is absolutely dramatically inert, but the CBS Radio Theater was a “new” way of looking at radio, Bold and Inventive in the 50s sense. It’s a huge chore to hear, and inadvertently amusing, as you might note. The music cues are especially bizarre. Enjoy, and I’ll see you at buzz.mn!